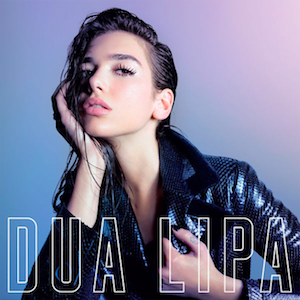 And so, at long last, after a string of hit singles, Dua Lipa has finally released her debut album. Or is it really an album at all? What does that even mean in this day and age? The deluxe edition of ‘Dua Lipa’ includes 17 songs, 8 of which are already released singles (the standard edition is 12 songs, 5 of which are singles). This ‘album’, then, is essentially a collection of known tracks with some filler. Is that what albums are to artists these days? We appear to be moving towards two extremes: a Beyoncé release of artistic integrity like ‘Lemonade’ with, arguably, no real chart-friendly singles, or a load of singles with no connection beyond the artist singing them. Yet the singles on offer here are brilliant, for the most part mixing bright, bold pop production with rock solid hooks, tropical beats and a deep, powerful vocal, all tied together in three minute packages. Hotter Than Hell is the pure fire track that launched Dua to chart stardom; follow-up Blow Your Mind (Mwah) was a vibrant, sassy kiss-off; and most recently she’s teamed up with Miguel for the R&B-pop banger Lost In Your Light. Be The One, though, is perhaps the main highlight – a more subtle take on her sound with yearning melodies over a warm bed of synths and syncopated beats. Acoustic ballad Thinking ‘Bout You rounds out the singles on the standard edition, whilst the stomping Room for 2, the mellifluous New Love and the catchy Last Dance are included on the deluxe edition. Heck, why not throw in her features with Martin Garrix, Major Lazer and Sean Paul as well? So what’s actually new here? Opening an album with a track called Genesis is fairly hackneyed, but it fits easily into Dua’s oeuvre with its slick harmonies and guitar noodling out of Dev Hynes’ book of production. Garden makes for a downbeat counterpart, as she repeats “are we leaving this garden of Eden?” in the chorus. Later in the album there’s New Rules: an enjoyable listen, but its tropical feel and sassy lyrics are, by this point, almost groaningly typical. It’s indicative of an album that’s already overly familiar to both fans of her singles and anyone who’s seen her live – even the new tracks sound old. This is by no means a collection of bad songs, its aim clearly to cement Dua’s place in the pop canon. And as a whole, it does neatly sum up the pop sound of the last year. But you'd expect that from an album released at the end of a campaign, not the beginning. And that’s the problem here: ‘Dua Lipa’ is a frustrating summary of the past, not an exciting stamp of future intent. How long will this album be toured and marketed as ‘new’ music? How long until we hear what’s actually next for Dua? And will that just be another single? Listen: 'Dua Lipa' is available now.